Black+Decker 12 Cup Coffee Maker Just 17.99! Down From $30! You are here: Home / Great Deals / Amazon Deals / Black+Decker 12 Cup Coffee Maker Just 17.99! Down From $30! Calling all coffee lovers! 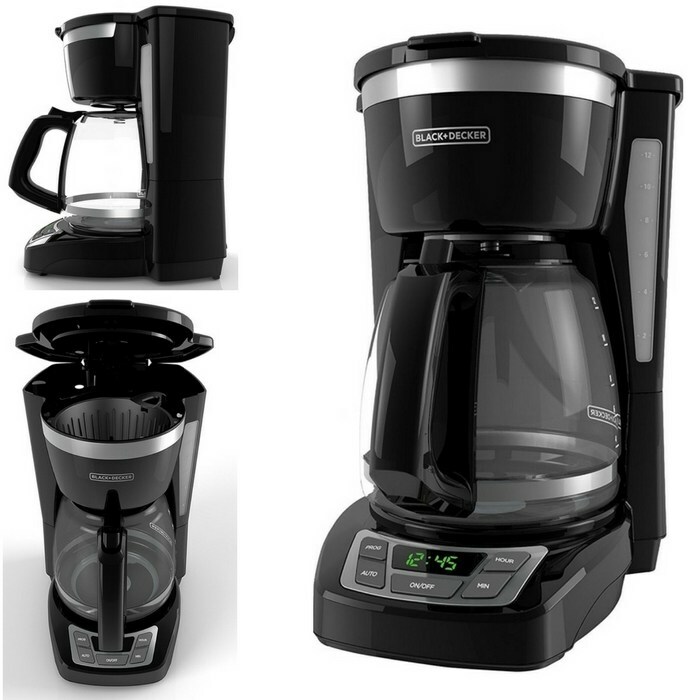 Brew your daily coffee fast with this coffee maker from Black + Decker! The Quicktouch Programming buttons make it easy to set the 24-hour auto brew feature and shave some time off of your morning routine. Nice! At Amazon, you can score Black + Decker 12 Cup Coffee Maker for just $17.99 down from $29.99 PLUS FREE shipping with Amazon Prime or for orders over $25! QuickTouch Programming – Easily set the time and program the auto brew feature with large, clearly marked buttons. Duralife Glass Carafe – The sturdy 12-cup carafe has measurement markings for accurate filling and an easy-grip handle for comfortable pouring. Washable Brew Basket – Cleanup is easy with the dishwasher-safe brew basket, which is compatible with basket-style paper filters. Easy-View Water Window – The front-facing window shows you the exact amount of water that will turn into coffee. Keep Hot Carafe Plate – The nonstick carafe plate keeps coffee warm for an hour after brewing is complete. 2-Hour Auto Shutoff – For added peace of mind with daily use.